Nonprofits are fighting to win constituents’ time, energy–and sometimes, money. 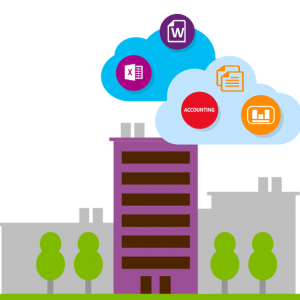 Microsoft has a fully integrated solution that can help your organization better manage a wide range of critical administrative processes, crucial to your non-profit, from accounting (GP), donor and volunteer management (CRM), human resources and needed reporting. Spend more time on your organization’s mission and less on managing the day to day tasks behind supporting your organization. With Microsoft Dynamics your nonprofit can leverage a suite of integrated tools that work together rather than independently, managing all aspects of you organization and coordinate key organizational needs, such as finances, budgeting, grants, funding, encumbrances, and commitments. Imagine one simple and familiar set of tools to effectively coordinate needed day to day operations of your non for profit organization. Microsoft’s business process solutions helps nonprofit organizations manage donations, conduct fundraising campaigns, and coordinate volunteers. The solution provides tools to track donation requests from ask to thank you, store templates for receipts, letters, and sign-up sheets, and gather information about potential donors, sponsors, and volunteers. Business processes to guide a nonprofit organization through each step of the donation and pledge process, including gathering critical information from donors. A dashboard to give the nonprofit a quick visual snapshot of active donors, the organization’s financial status, and the progress on key tasks. Workflows and plug-ins to automatically calculate donation amounts, create follow-up appointments, and send thank you emails. Financial and human resource management is a key component of running any nonprofit organization and your organization. Meet project, financial and membership goals – Comply with grant and government reporting as well as ensure funding with efficient of donated and allocated resources. Simplify grant management – Streamline transactions, monitor daily expenditures, and deliver timely reports for optimal grant performance. Commitment Management – Track requisitions as commitments related to specific budgets and streamline requisition approval. Auto-generated messages warn key personnel of potential overspending if transactions exceed budgets. 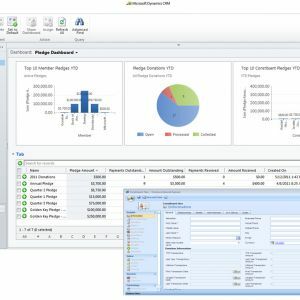 Encumbrance Management – Analyze expenditures against budgets and track encumbrances at any time. Automated tracking and liquidation helps you avoid overspending. Fund Management – Track allocation accurately and automatically. Make reporting accessible and define control accounts. Transfer balances between accounts easily with “self-balancing” inter-fund tools. Many nonprofit organization already uses Microsoft Office products, the interface of Microsoft Dynamics will look familiar and make for very easy navigation. Get the complete, flexible, and familiar tools you need to run your business and help your nonprofit organization achieve more. Start with what you need now and easily adapt as your needs change. Automated and Integrated Tools That Save You Time! Reporting is one of the strongest features of Microsoft Dynamics. Seamless integration with Excel makes it easy to slice and dice data with pivot tables, and the dashboards offered by Microsoft Dynamics CRM Online allow you to drill deep into your data and see it visualized in custom charts and graphs. Why Microsoft Dynamics for not-for-profit organizations? Successful management of your not-for-profit organization requires providing high-quality service to your followers as well as careful administration of expenses and improving processes are ongoing requirements. Each type of not-for-profit organization has unique needs. Microsoft Dynamics offers powerful business management solutions focused on the common needs of not-for-profit organizations. These solutions promote improved membership management, accurate and timely reporting, easier access to data, and automated processes that help reduce daily overhead. 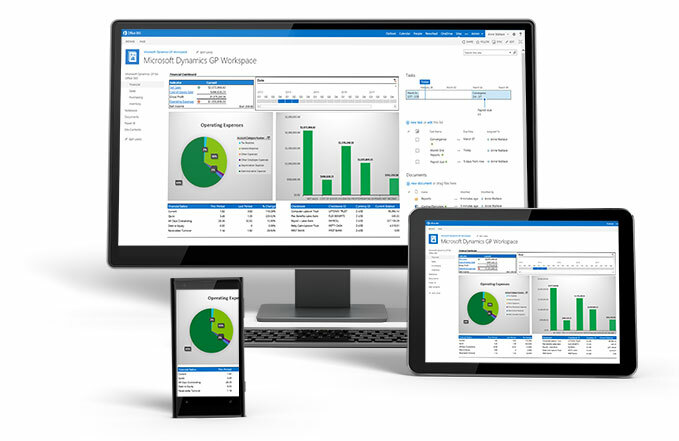 As a not for profit using Microsoft Dynamics GP, you will have integrated capabilities for financial management, project accounting, human resource management, business analytics, and constituent relationship management that can help you manage complex business, financial and reporting practices. designed to help not for profits of all types adhere to regulations and controls, manage grants and budgets proactively, and streamline accounting processes. Microsoft Dynamics GP is a fully integrated solution that helps you better manage four critical elements for not-for-profit organizations: grants, funding, encumbrances, and commitments. With this solution, you can easily access and cross-reference data, automate tedious operations and administrative processes, and provide timely reports to run your organization more effectively. Microsoft Dynamics CRM is the best, and most affordable, solution on the market today for not-for-profit organizations. Dynamics CRM can streamline all of the information most important to your organization and help make your job much easier. Due to its flexibility and powerful features it is a tremendous tool for building relationships with donors, clients, volunteers, vendors, and other stakeholders. With Microsoft CRM, understand your audience better so you know exactly how to attract, build and sustain those valuable relationships. Whether in person or online, you’ll be able to deliver more targeted appeals, campaigns and events. Built-in analytics help you measure what’s working so you stop wasting time and money on what’s not. Whether your business could benefit from simplified management, more efficient processes or improved customer relationships, the Microsoft Dynamics suite of solutions from Carpenter & Associates is the answer.